The Full Bench of Kerala High Court has ruled that medicines, implants and other materials used during procedures at hospitals do not constitute sale of goods, and hence, sales tax cannot be levied on these. 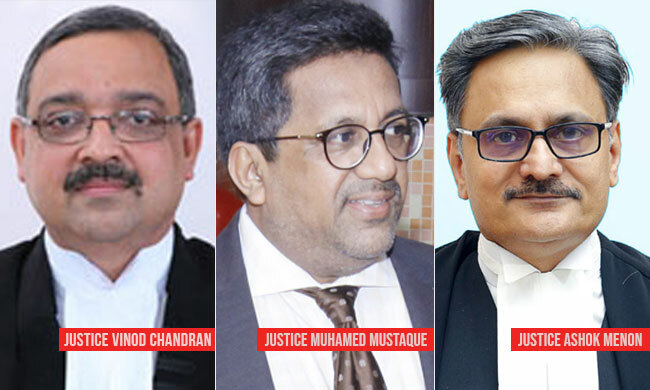 The Bench comprising Justices K. Vinod Chandran, A. Muhamed Mustaque and Ashok Menon essentially opined that sale of drugs, implants and other consumables form a part of the service rendered by the hospitals. The court was hearing a bunch of writ appeals, revisions and writ petitions referred to it by a division bench of the court, posing the question: Whether medicines, implants, consumables and surgical tools used in medical procedures come under the definition of "sale of goods" under Article 366(29A)(f) of the Constitution of India and the Kerala Value Added Tax Act, 2003. The division bench had opined that since hospitals usually have pharmacies through which these medicines and other materials required for the treatment are sold, such transactions would not be taxed as sales tax, as these form a part of services rendered by the hospital. This opinion was, however, in conflict with several other decisions by coordinate benches of the court, and hence, a reference was made to the full bench. Agreeing with the division bench, the court pointed out that Article 366(29A)(f) includes within "sale of goods", "tax on the supply, by way of or as part of any service or in any other manner whatsoever, of goods, being food or any other article for human consumption or any drink (whether or not intoxicating), where such supply or service, is for cash, deferred payment or other valuable consideration, and such transfer, delivery or supply of any goods shall be deemed to be a sale of those goods by the person making the transfer, delivery or supply and a purchase of those goods by the person to whom such transfer, delivery or supply is made". It then clarified that implants and other consumables do not come within the meaning of "human consumption", as contemplated in clause (f). It asserted that the words "any other article for human consumption" should be understood in relation to food and drink and not services provided by hospitals. The court further explained that it is not the absence of a contract between the hospital and patient that takes away the administration of drugs, implants and consumables from the definition of sale of goods. The reigning factor, it said, was the fact that "it is an integral, indivisible part of the composite transaction rendering medical treatment and care, which is a service rendered". "The element of sale is an integral part of the medical service and cannot be separated or distinctly plucked away from the composite transaction so as to levy tax on the sale element," it added. Furthermore, the court noted that several decisions rendered by the High Courts of Allahabad, Punjab and Haryana, and Jharkhand were in consonance with its finding. It observed, "…the three High Courts referred to above considered the very same transactions, we were concerned with, as part of a service rendered in a hospital and held the same not permissible of being distinctly taxed as sale of goods on the precedents we also relied on." The Full Bench therefore agreed with the division bench, and directed the Registry to place the matters before the division bench for consideration of individual cases.